Some governors who are proponents of tenure extension for All Progressives Congress (APC) Chairman John Odigie-Oyegun and other party officials seem to be adamant in their position. There is a plot to create a stalemate and dump President Muhammadu Buhari’s and majority of APC governors’ decision on National Convention, it was learnt. The President is to attend the party’s National Executive Committee (NEC) meeting on Monday before leaving for London — apparently to ensure that the decision for the party to have congresses and convention stays. 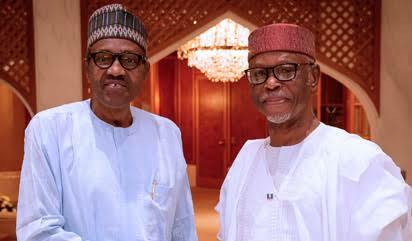 According to The Nation, there were indications last night that some party chiefs backing Oyegun and members of the National Working Committee (NWC) had decided to fight back. The pro-tenure extension forces invited all state chairmen for a meeting last night. The meeting was expected to mobilise the chairmen to oppose the decision of the President and the governors. At the NWC meeting yesterday, Oyegun parried all issues relating to the composition of the members of the National Convention Committee (NCC). According to sources, following fears that the NEC may be influenced to overrule his proposal, the President decided to delay his trip till after the NEC meeting. He is scheduled for a private meeting in London from Monday ahead of next week’s Commonwealth Heads of State and Government Meeting (CHOGM) in the United Kingdom. A governor, who spoke in confidence with The Nation, said: “The President told us at the Villa on Wednesday that he would prefer to attend the NEC meeting on Monday to ensure that the agreement on state congresses and National Convention with the governors was followed through. “He said he was initially billed to leave in the morning on Monday, but he might go in the night after the NEC meeting. He said he would attend the NEC meeting to “satisfy” himself that the agreement with the governors is respected. “We all reasoned with him because in his absence, all these pro-tenure extension elements, especially the NWC members, might want to spring a surprise. Some of our colleagues and some party leaders are not happy that we have rejected tenure elongation. At yesterday’s NWC meeting, the constitution of the National Convention Committee (NCC) was not on the agenda. “We were all shocked because Lalong addressed the NWC on Wednesday on the highlights of his committee’s report. “Lalong told us plainly that his committee will agree with Mr. President’s position. Having given us the snippets of his committee’s report and with the decision of the governors to back out of tenure elongation, we thought Oyegun would do what was necessary at the NWC meeting. A source said: “State chairmen were invited by some leaders of our party and NWC members for what they described as a ‘block opinion’ on the need for tenure elongation. “The essence of the meeting was to mobilise them to oppose President Muhammadu Buhari and the governors by asking NEC to subject the proposals for tenure elongation to voting. “They are saying that since the President believes in democracy and the rule of law, he will have no choice than to abide by the decision of the simple majority on Monday at the NEC meeting. The main plot is to ambush the President and box him into a corner.